There is no shortage of individuals for whom the prospect of visiting the dentist is a truly terrifying proposition. Neglecting proper dental care due to dental fear can have very serious consequences on an individual’s overall health. However, because the underlying causes of dental anxiety are common to most sufferers, they can be effectively addressed by a skilled dentist and conquered with relative ease. 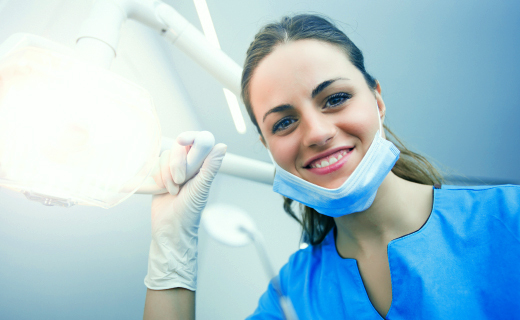 The fear of the unknown is an underlying cause of dental anxiety for countless individuals. Not knowing what sorts of problems a routine examination might reveal can cause some people to experience a feeling of uneasiness they would much rather avoid. Concerns over potential discomfort, inconvenience, and expense stemming from cavities and/or gum disease that may be discovered keep many people at home. The good news is that a strong commitment to dental care on a daily basis can go a long way toward reducing the likelihood of such unpleasant surprises. The confidence that comes from good oral hygiene practices can stop dental anxiety in its tracks. Another common trigger for those with serious dental anxiety has to do with the sights and sounds of the tools used by dentists to perform procedures and examinations. Dental drills in particular seem to have the ability to cause a great deal of nervousness among such patients. Those suffering from severe dental anxiety may prefer to seek practitioners skilled in the use of air abrasion, thus eliminating the need for drills. Otherwise, simply spending some time becoming familiar with the tools that are to be used, the sounds they make, and their specific applications can work wonders for any patient with dental fear. If the prospect of sitting in a dental chair fearfully trying to anticipate the dentist’s next move is simply too nerve-racking to contemplate, it may be best for some patients to simply plug in some headphones, listen to soothing music, and escape to someplace far away. Those with serious dental anxiety can take comfort in the fact that dentists everywhere are far more sensitive to their fears than ever before. Being honest and forthright about dental anxiety is the best way to alert a dentist to the situation so that they can take extra steps to alleviate dental fear and provide the most comfortable experience possible.